The Times Higher Education World University Rankings 2018 has just been announced and four Pakistani institutions have managed to make it in the top 1000. The four top Pakistani higher education institutions according to the World University Rankings 2018 are Quaid-i-Azam University, COMSATS Institute of Information Technology, National University of Sciences and Technology (NUST) and University of Agriculture, Faisalabad. Last year, six Pakistani universities were named in top 1000 that included four of this year’s entries, University of Karachi and Bahauddin Zakariya University. Both of the later universities have slipped below top 1000 in the latest list of world’s top universities. 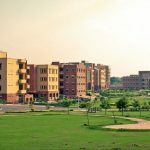 In the 2017 list of top universities in Pakistan, COMSATS Institute of Information Technology was ranked on the top, however this year, Quaid-i-Azam University has taken its place. In the overall rankings, University of Oxford remains on the top for the second consecutive year. The University of Cambridge has advanced from 4th to second while California Institute of Technology has slipped from first to third. Interestingly, 3 out of the top 10 institutes, including the top 2, are UK-based universities. Swiss Federal Institute of Technology Zurich has once again managed to make it to the top 10 list but it has slipped one position down.